What’s your comfort food? For us, clearly, bread is definitely on top of the list. They are soft, filling and they make you satisfied all day! 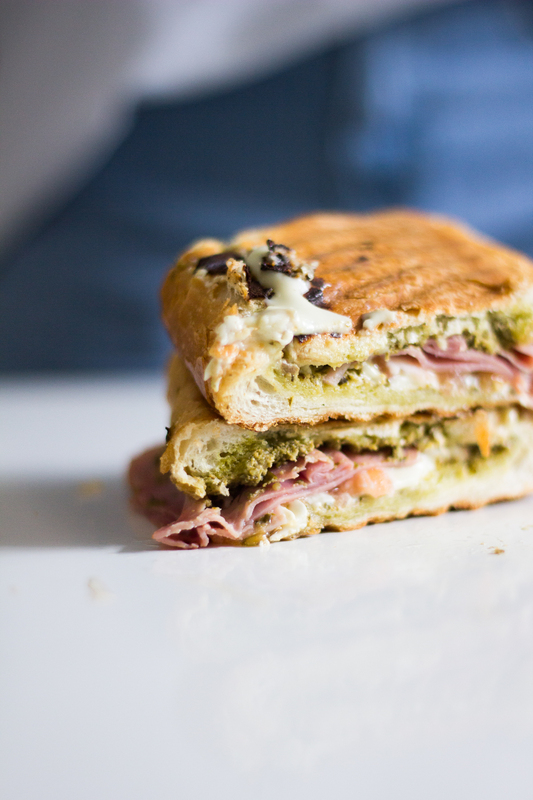 Therefore what’s better than a piping hot cheezy panini from your iron pan? It is crispy and the melted cheese is just satisfying. We love bread, they just spread it with butter is excellent enough. Truly, we don’t eat Panini that often but after trying the Panini from Animal Orchestra, Melbourne. That changes our mind about Panini. 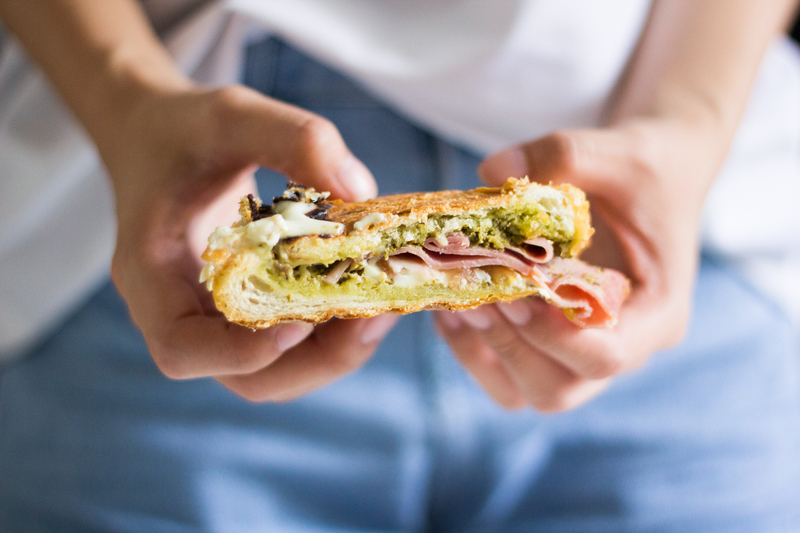 During our trip we got some really fresh Champagne Ham, we decided to try on our own Panini, it’s nothing complicated but simply make you satisfying. So we want you to have a taste of ours. 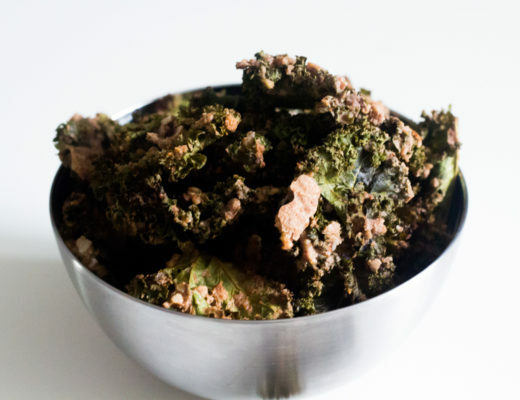 Things are easily gathering, you can make them from scratch or purchase them in store. 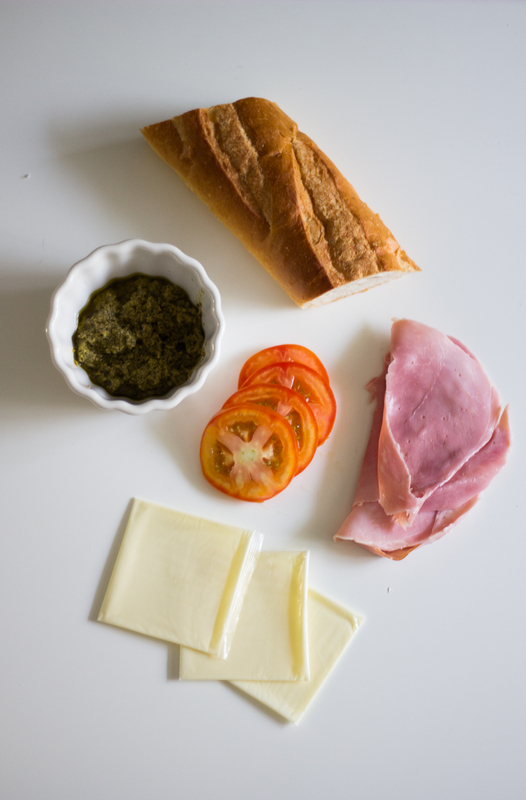 So we usually make our own pesto, therefore, it takes slightly stronger in favors. Oh man. That salty, juicy ham. Those sweet, crisp tomato. 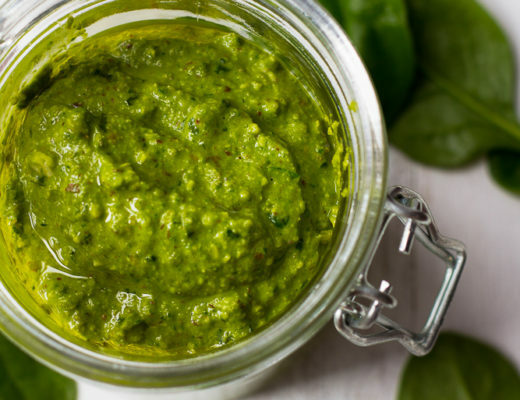 The creamy and tangy homemade pesto sauce. That glorious, melty swiss cheese. And that satisfying crunch as you bite into each toasty, buttery bite. This is definitely my new favorite sandwich! We always love to have a change, thus here are some tips on how to have this bread. The bread is important. It needs to be bread sturdy like ciabatta but yet soft enough to allow grill marks (crisp-crust baguette doesn’t work). 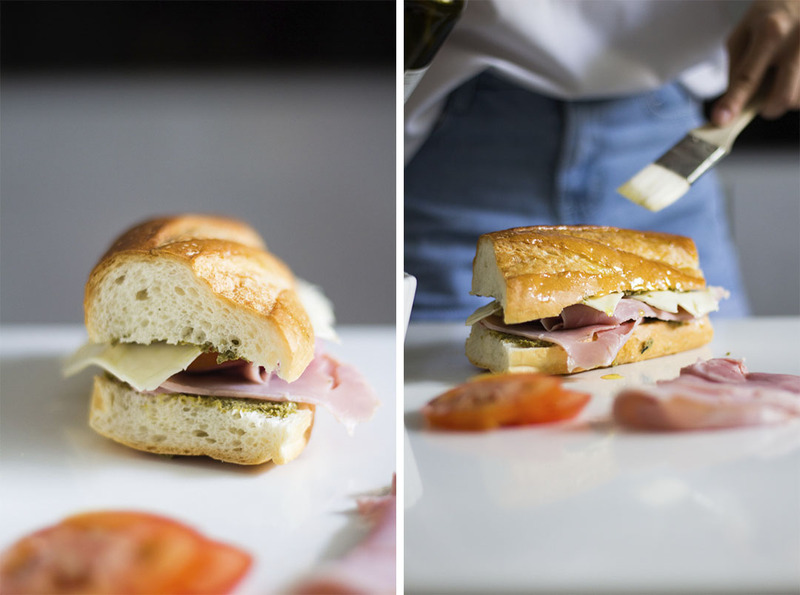 Ciabatta isn’t an “accessory” bread: It adds flavor to the sandwich. Use other condiments. 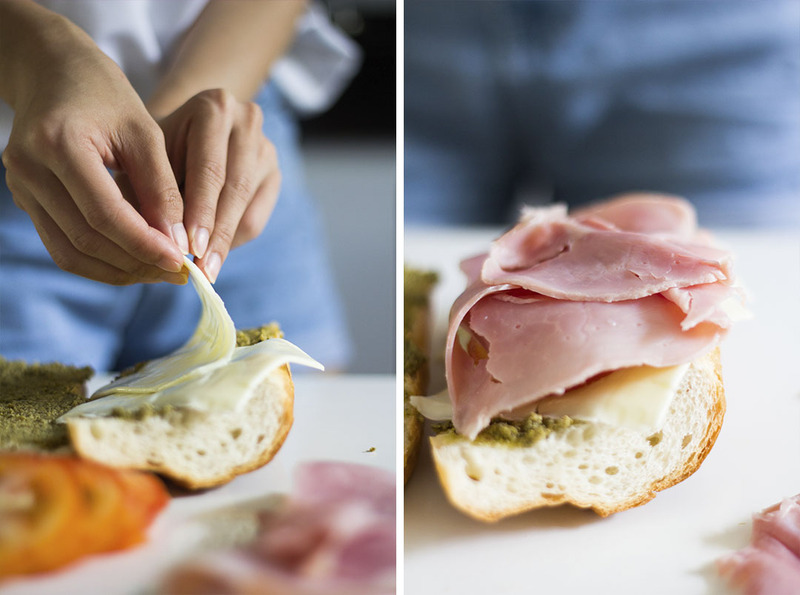 Save the everyday pesto for un-toasted sandwiches. 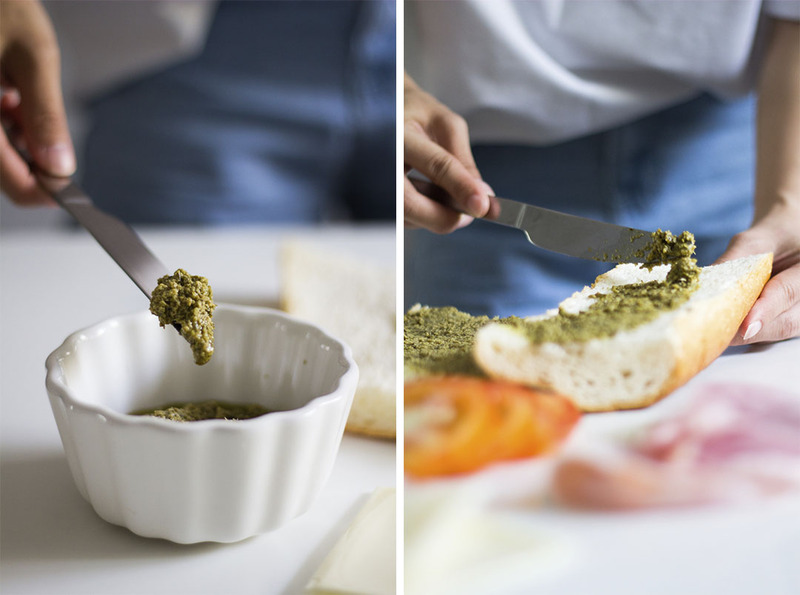 Consider making your own pesto and you can customize made the taste. You can also use mayo and mustard for the condiments too. 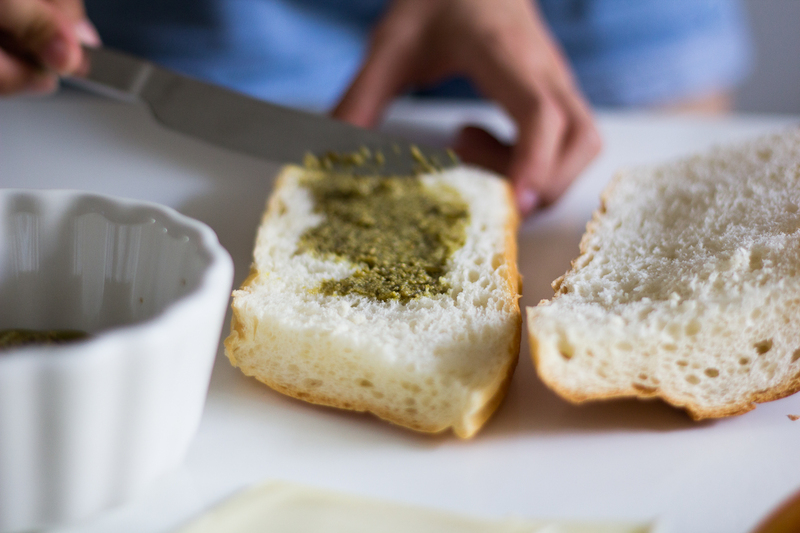 Spread 1 1/2 teaspoons pesto mixture on one side of a slice of bread. Top with a slice of cheese, 2 slices ham, and slices of tomatoes. 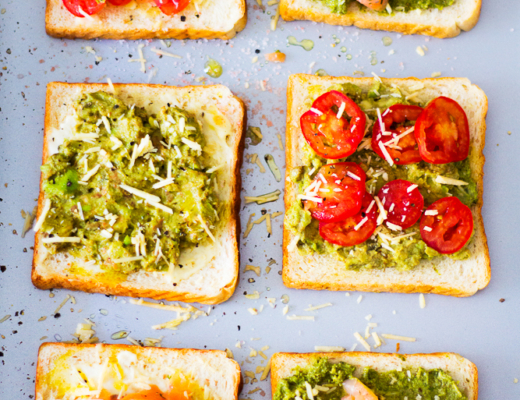 Spread 1 1/2 teaspoons pesto mixture on a second slice of bread and place pesto side down on top of cheese to form a sandwich. If you try it, don’t forget to share your picture on Instagram, Facebook, or Twitter with #byplaincanvas. Thank you so much for reading, and till next time!